Sometimes children feel they need to choose one parent over the other to be loyal after a separation or divorce, especially if there has been high conflict. At By Peaceful Waters, we believe it is in the best interest of the children to enjoy a healthy relationship with both parents wherever possible. If children are resisting visits with a parent, we recommend intervention as soon as possible because the loss of relationship becomes more difficult to reverse and more damaging to the children over time. 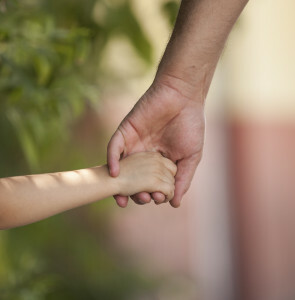 The estranged parent may have attempted to build rapport multiple times without progress. The children may be emotional and fearful. Our trained professionals work with each parent and the children to re-establish meaningful relationships. They support, coach, and facilitate opportunities to connect meaningfully. Our perceptive counsellors provide a safe atmosphere for children, and distinguish between valid concerns from exaggerated fears. They also work with the parents to shield the child from further conflict. IN REUNIFICATION COUNSELLING, WE FOCUS ON THE BEST INTERESTS OF THE CHILDREN, ESTABLISHING HEALTHY RELATIONSHIPS WITH BOTH PARENTS AND BOTH SIDES OF THE FAMILY.